Recently I received correspondence from artsy.net noting my references to kawaii in this blog, notably the cute figures here, see also a train carriage here. 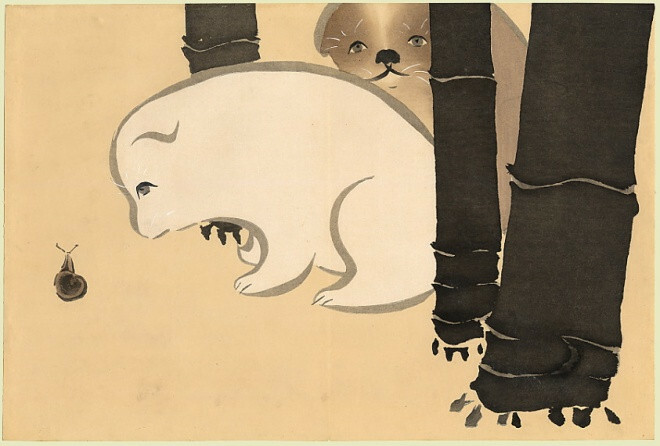 My attention was drawn to an article here on the evolution of Kawaii in art from the 1970s. I am conscious that while kawaii was emerging I was taken by a similarly hard edged but not cute style in the work of Yayanagi Go, two of whose works I acquired in the 1970s. The work on the right is from an exhibition at the Instituto Tomei Ohtake in Brazil. You will see some link to Yayanagi's individual style in this work of Takashi Murakami at Artsy. The original definition of kawaii came from Lady Murasaki's The Tale of Genji where it referred to pitiable qualities. During the Shogunate period under the ideology of neo-Confucianism, women came to be included under the term kawaii as the perception of women being animalistic was replaced with the conception of women as docile. So it's historically not an entirely flattering term. Wikipedia goes on to explain the modern phenomenon as arising from schoolgirls beginning to write across the page and with modern pens, interspersing drawings. Among early shifts from the page to other forms was to cute pencil cases. This is a google search for Japanese pencil cases 1979. 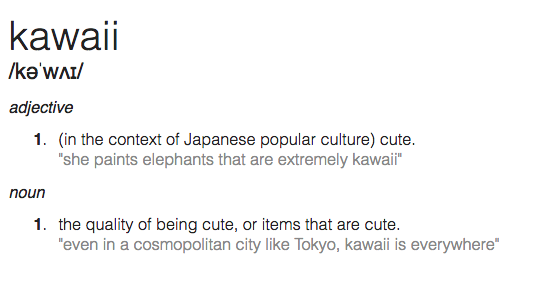 It's reasonable to think that others shared my view of the triviality of kawaii as it emerged. There has also developed a worldwide appetite for Japanese anime, an art form with some links to kawaii but going far beyond the cute. It seems to me that Kawaii has deeper roots, not just some spontaneous shift in the 1970s. Take for example work of Kamisaka Sekka, 1866-1942. 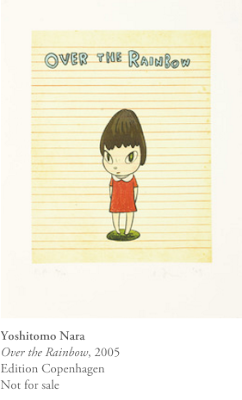 Compare with the kawaii work of Yoshimoto Nara at Artsy, which definitely brings in a naive school pad doodle quality with a common tendency to English language and cultural borrowings. The wearing of western style school uniforms dates from the Meiji era. The shortening of skirts came in in club wear in the early 1970s from the European miniskirt. The fetish combination of short skirt and maid uniform more recently, notably as driven by Akihabara. 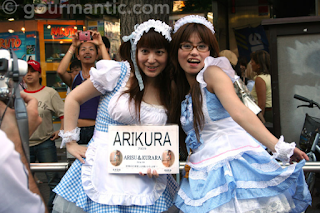 But fetish is something else, otaku, which overlaps a bit with kawaii. 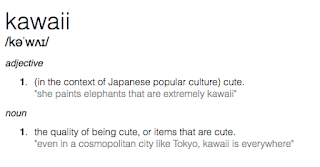 Another perspective, 29 kawaii things, from the excellent Japan Talk website. We cannot leave this subject without mention of music and without medicine from Cibo Matto.